Hostal Mary Mar, Río Cañas # 95-A. 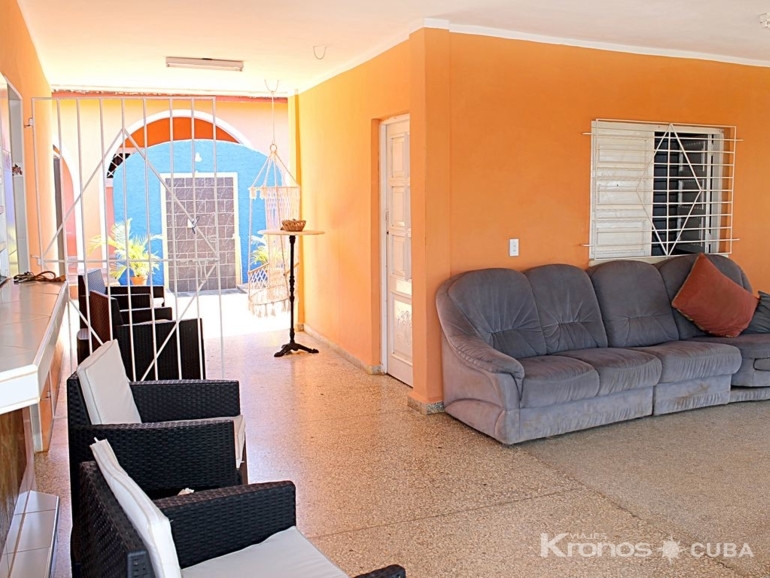 View all information about this house. 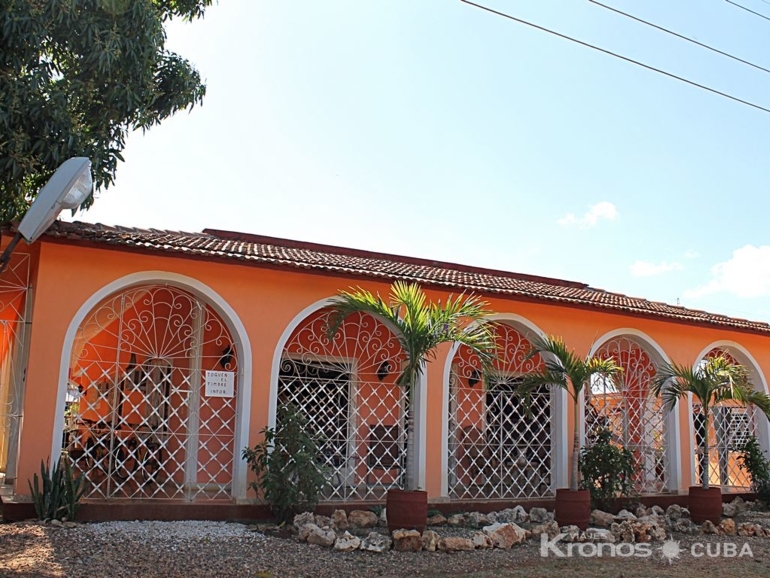 Just 5 kms from the city of Trinidad you will find the Río Cañas beach and there, just 200 m from the beach is the hostel Mary Mar. Also very near is the waterfall of Guanayara where you can easily reach with the bikes of home. 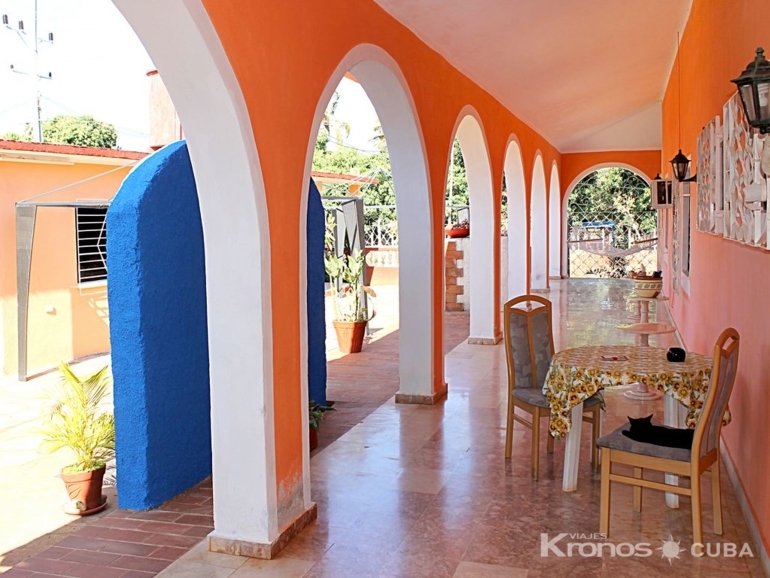 With 5 spacious well-ventilated and air-conditioned rooms dedicated to renting foreign tourists, with a maximum total capacity to accommodate 14 guests. 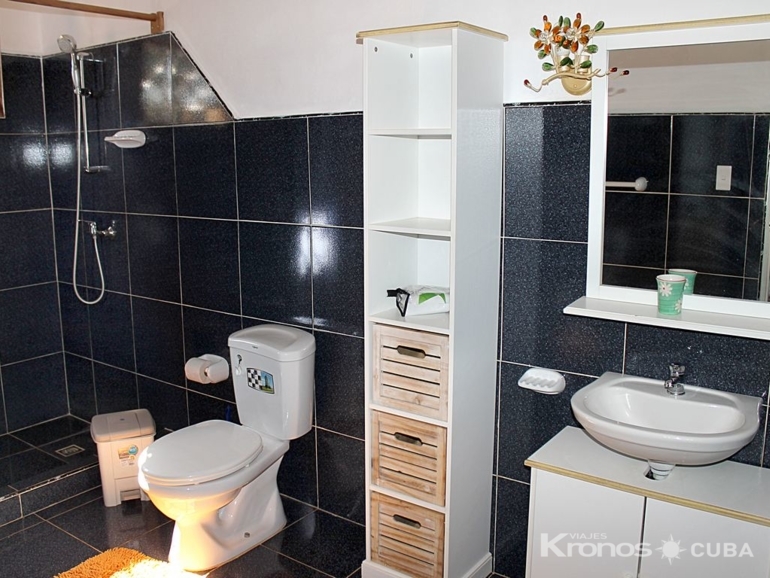 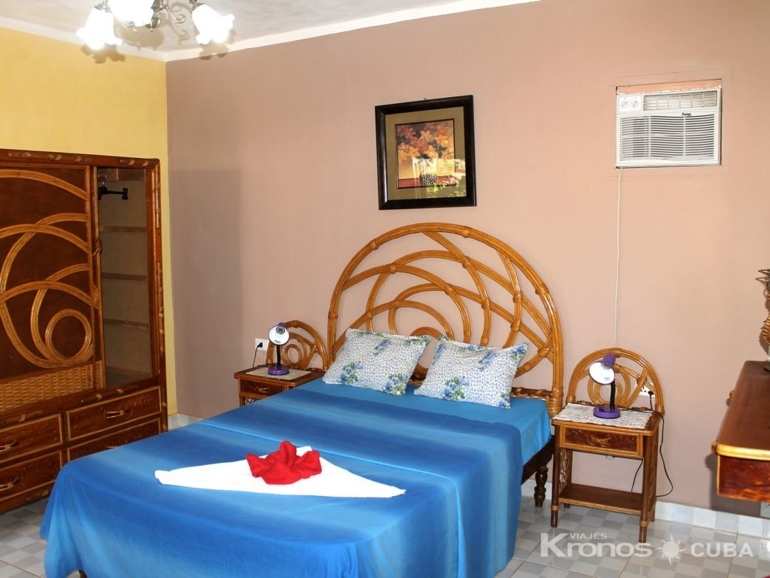 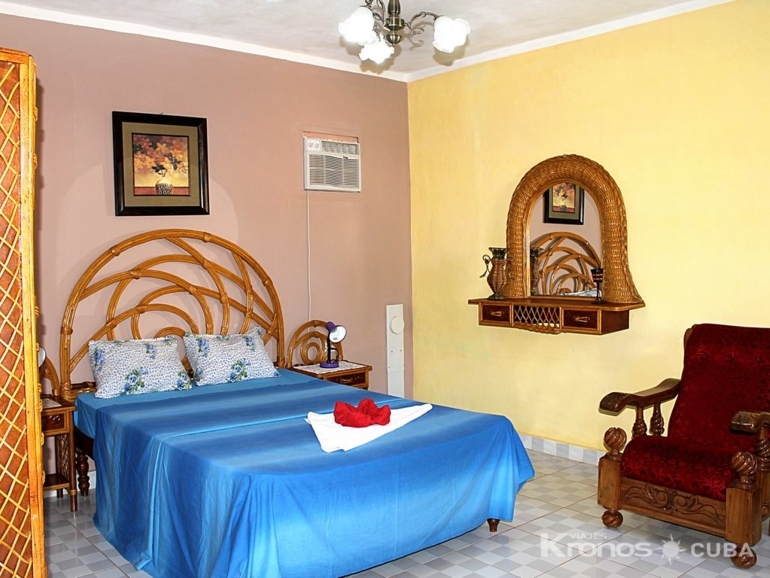 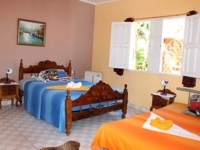 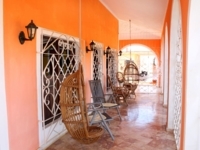 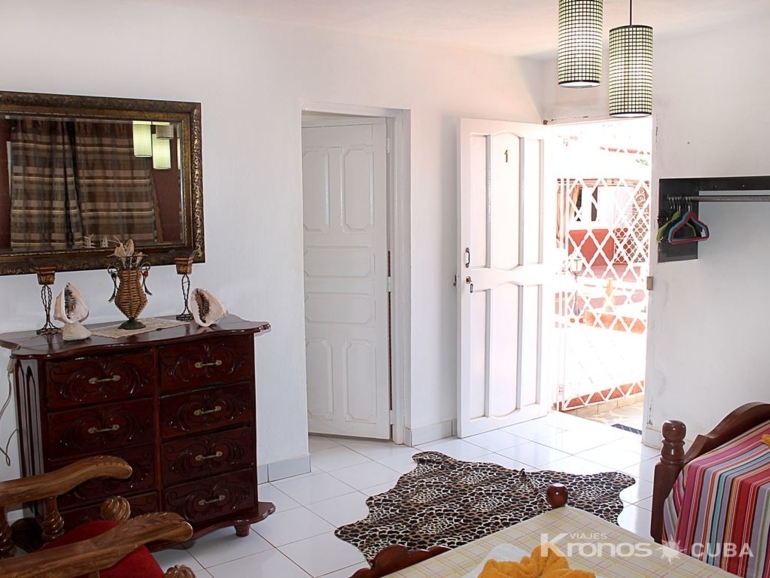 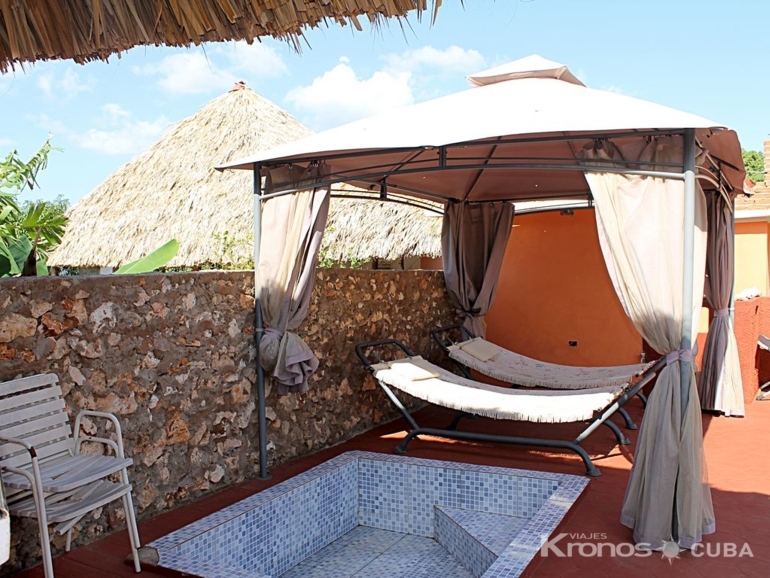 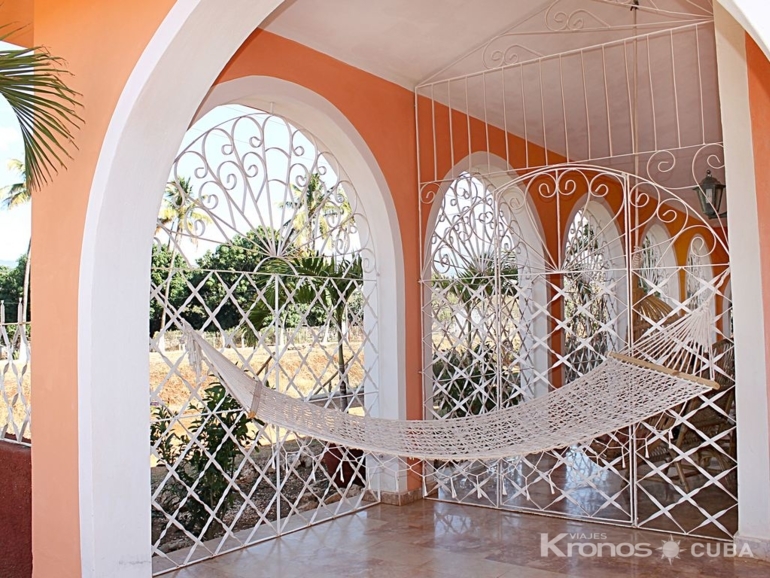 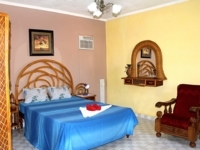 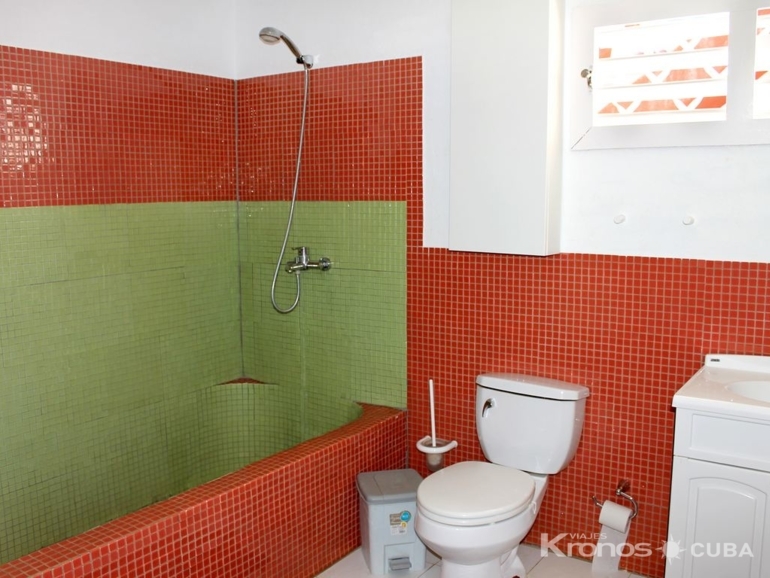 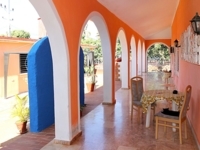 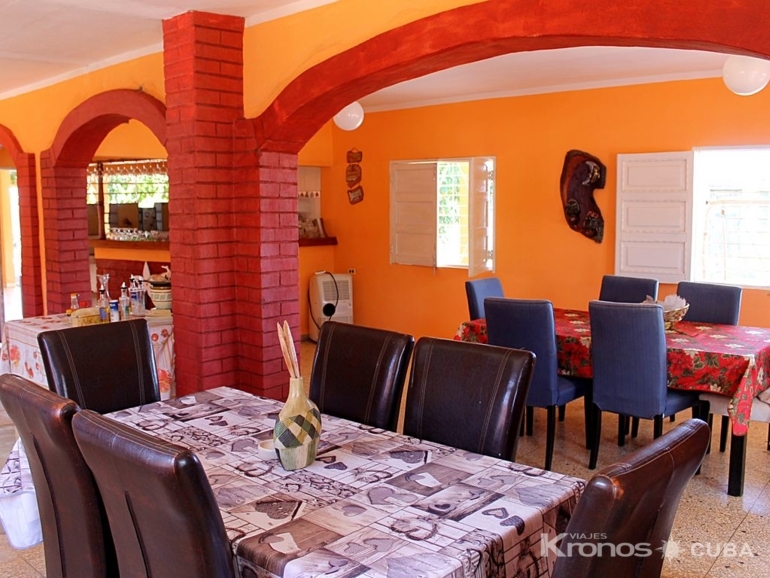 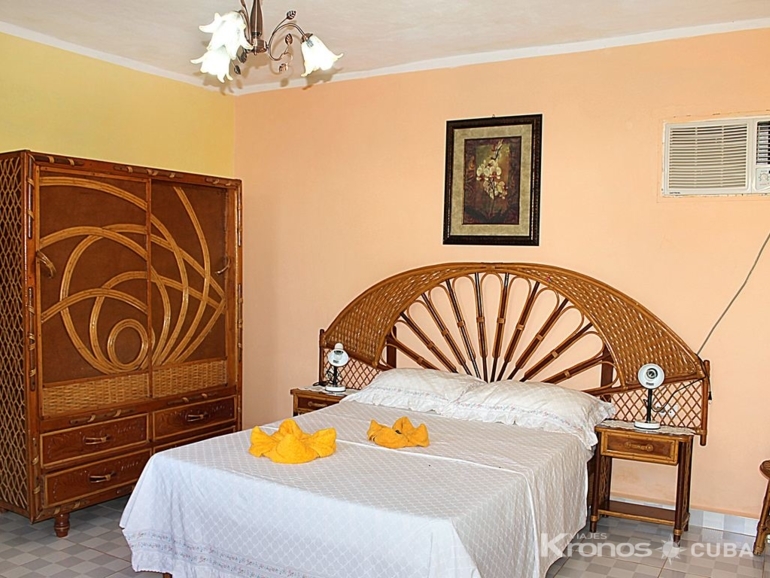 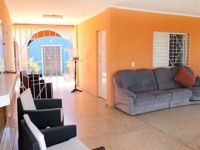 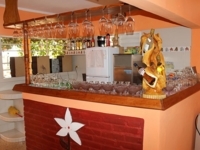 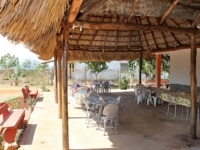 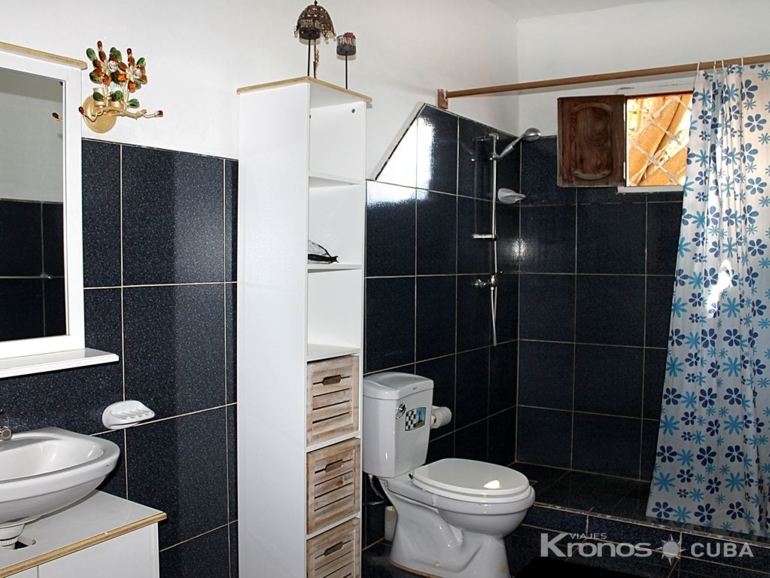 All these conditions make this house an ideal choice for large groups of friends and large families who wish to know Trinidad and enjoy the warm waters of the Caribbean Sea bordering the island of Cuba. 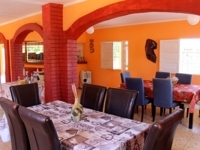 The hosts, one of them of Italian nationality, perfectly dominate several languages ​​like English, French, Italian and German so that the communication with the clients is perfectly possible. 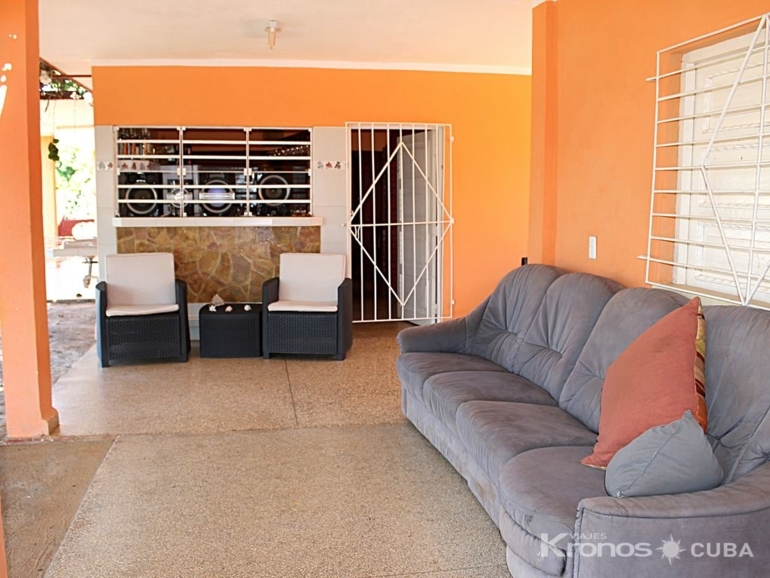 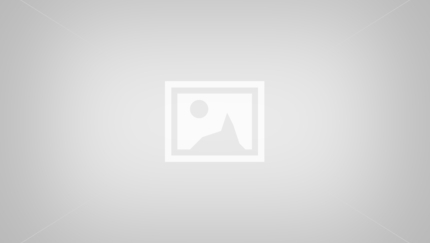 The parking and use of the modern bikes of the house are included in the price of the lodging. 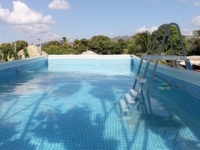 In the courtyard of the house there are 3 swimming pools, one of which is for small children. 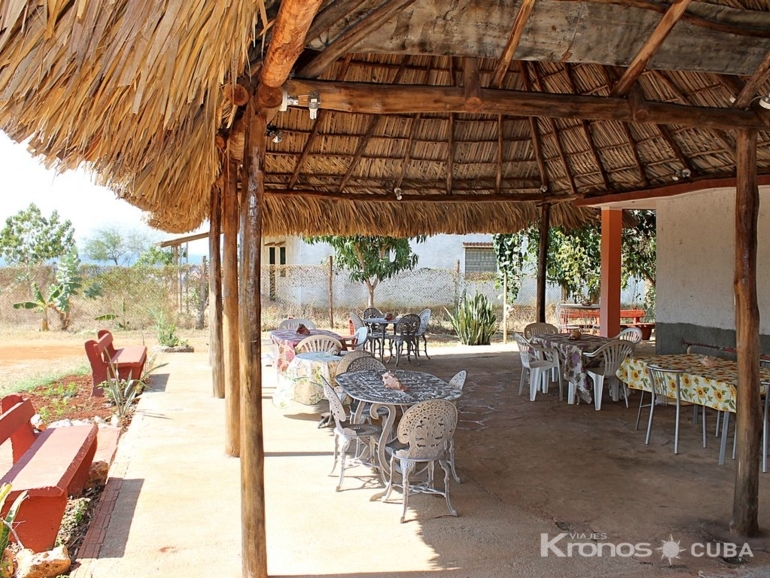 In a great restaurant you can enjoy the exquisite delicacies prepared based on Cuban and Italian Creole recipes. Book in this earthly paradise and inform the family of your arrival time.